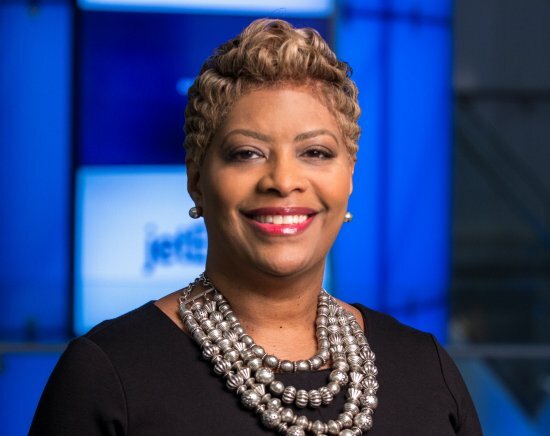 WASHINGTON, August 18, 2017 /3BL Media/ – The head of corporate social responsibility (CSR) for JetBlue, Icema Gibbs, will act as master of ceremonies for day two of COMMIT!Forum, the annual gathering of CSR and sustainability professionals, Oct. 11-12 at MGM National Harbor. Leaders from the corporate responsibility community -- including Katherine Valvoda Smith, executive director of the Boston College Center for Corporate Citizenship (BCCCC); Mark Shamley, CEO of the Association of Corporate Contributions Professionals (ACCP); and Daryl Brewster, CEO of CECP – will share their perspective on the “Brands Taking Stands” movement during COMMIT!Forum. JetBlue’s Gibbs, one of the founding members of JetBlue, helped launch operations for the New York-based airline in 1999. She established the department now known as corporate social responsibility and oversees JetBlue For Good, JetBlue’s platform for social impact and corporate responsibility. Giving back is part of JetBlue’s DNA and is core to its mission of inspiring humanity. Centered around volunteerism and service, JetBlue For Good focuses on the areas that are most important to the airline’s customers and crewmembers - community, youth/education and the environment. Combining JetBlue’s corporate efforts with its customers’ and crewmembers’ passions, the common theme is Good – JetBlue For Good. Follow the #JetBlueForGood conversation on Twitter, Instagram and Facebook, check for regular updates and get involved. At COMMIT!Forum, Gibbs will lead the discussion on Oct. 12 of a wide variety of issues integral to CSR and sustainability practitioners. Through panel discussions, one-on-one CEO interviews and interactive “issues tables,” such topics as employee engagement, innovation, diversity and inclusion, and the use of big data to advance CSR goals will be examined. BCCCC’s Smith and Dave Stangis, vice president of corporate responsibility and chief sustainability officer for the Campbell Soup Company, will be interviewed about a book the two recently co-authored, 21st Century Corporate Citizenship: A Practical Guide to Delivering Value to Society and Your Business. CECP’s Brewster will discuss polling his CEO-led coalition conducted in 2016 prior to the U.S. presidential election, and at multiple points after President Trump took office, on the topic of companies voicing opinions on social issues. ACCP’s Shamley will lead a panel discussion on aligning CSR strategy to business goals, including insights into corporate decision-making around social responsibility and taking a stand. COMMIT!Forum (http://www.commitforum.com) is an annual gathering of corporate responsibility and sustainability practitioners with emphasis on networking, case studies, new research and compelling presentations from companies committed to making progress against an ambitious environmental, social and governance (ESG) agenda. The event is produced by the Corporate Responsibility Association and CR Magazine.